Thomas H. McVearry, age 94, passed away at his residence in Lewisburg, TN on Sunday, June 17, 2018. He was born on February 28, 1924 in Washington, DC to Thomas Michael and Emma Becker McVearry, who precede him in death. 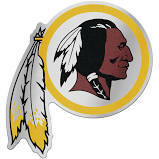 Thomas was an avid Washington Redskins Fan, enjoyed woodworking and spent his working years as an electrician. Thomas is survived by his wife Alice Lasky McVearry, Lewisburg, TN, a son, Charles Alan McVearry, New Market, MD, a daughter, Anita Ann Kirby, Margate, FL, two nieces, Donna (Jim) Griffis, Olney, MD, Lynda (John) Crawford, Silver Spring, MD, and two grandchildren.